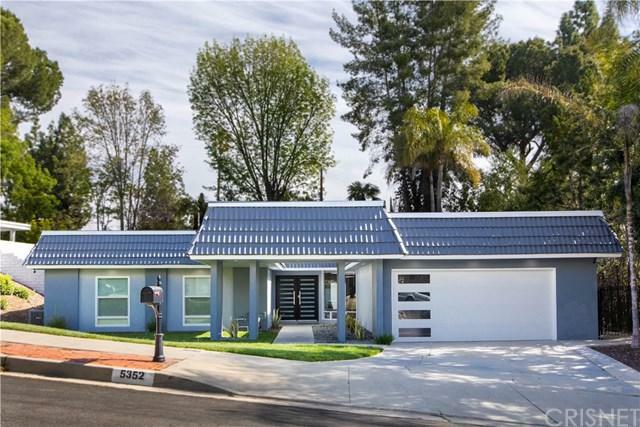 5352 Orrville Avenue, Woodland Hills, CA 91367 (#SR19064229) :: Ardent Real Estate Group, Inc.
Quality awaits you in this stunning newly remodeled home. This property features an open floor plan with wrap around windows and dual pane slider doors that let in a lot of natural light. The focal point is custom metallic porcelain fireplace and adjacent island kitchen featuring Calcutta Quartz counter tops, new self-closing cabinets, stainless steel appliances including a +G+Samsung Smart Fridge+G-. There is a large breakfast counter plus an additional eating area off the family room. There is a huge formal dining area with a view of the pool area. 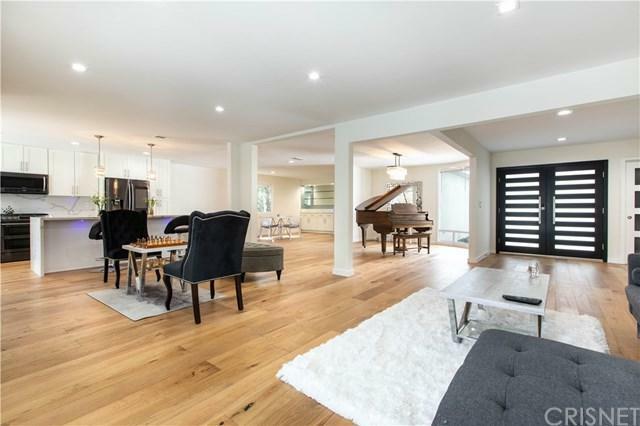 There are sweeping French Oak hardwood floors and new LED recessed lighting. The master bedroom has a huge walk in closet, new slider doors to the rear yard and custom bath with separate temperature controlled shower and separate soaking tub, double sinks with Quartz counters and Porcelain tile floors. The additional 3 bedrooms feature custom closet doors and beautiful window treatments. The hall bath has a new high tech bidet/toilet, and a stylish +-+ bath off the entry. The woodsy rear grounds feature a large swimmers pool with new tiling and ample BBQ area. The home features a voice controlled Vivint Smart Home System that controls cameras, alarm system, thermostat and front door locks. 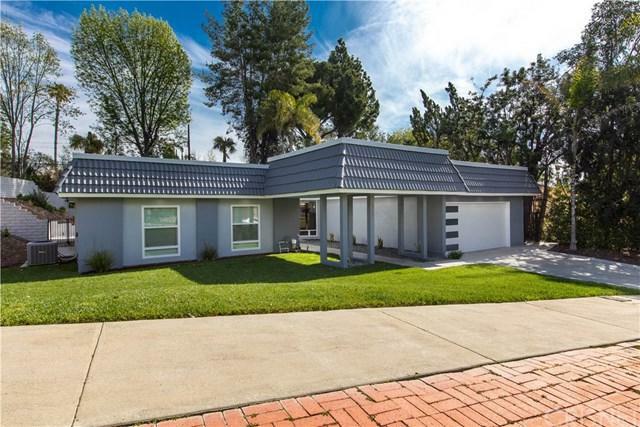 This quiet Hidden Estates Home is adjacent to Hidden Hills and features charter schools Lockhurst Elementary, Hale Middle School, and El Camino Real High School. 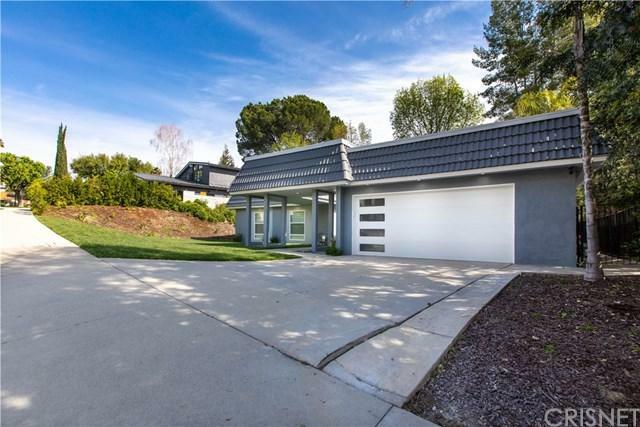 It is minutes to Calabasas Commons.